A client Roams from one Local controller-1 to another Local controller-2. The controllers are in different subnets and L3 Mobility is enabled. How is the client traffic sent back to Local-controller-1? Which of the following statements is true of Spectrum Mode? 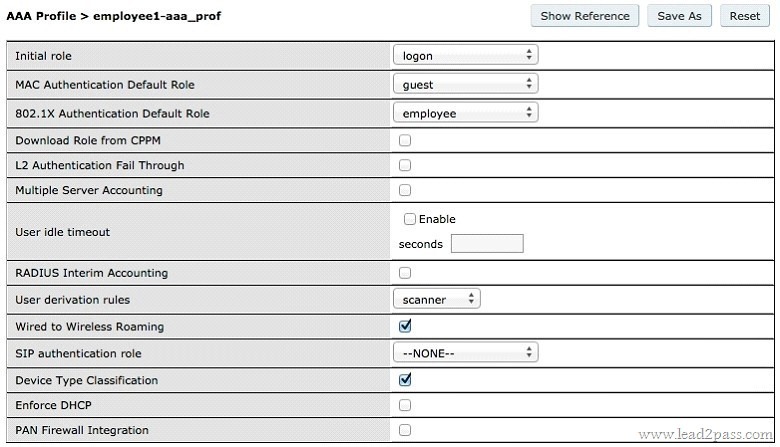 The screen captures above show the 802.1X authentication profile and AAA profile settings for a VAP. If machine authentication fails and user authentication passes, which role will be assigned? 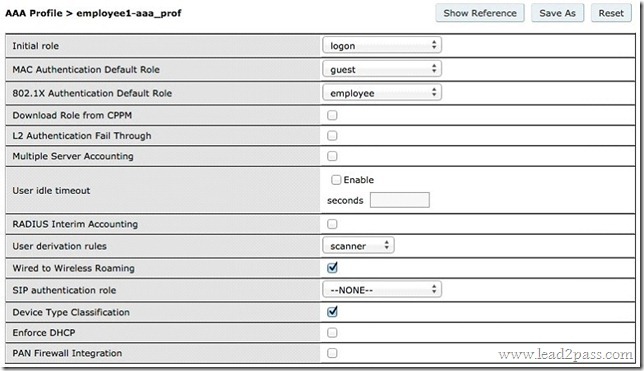 Referring to the above screen capture, on which controller can you add an administrative user and assign a controller management role? Which command will show all client association history? What is the total number of charts you can simultaneously monitor in a spectrum dashboard? Which is a Device Specific Attribute that can be evaluated in a user derivation rule? Which ARM feature addresses the issue of sticky clients by moving clients to associate to APs with better 802.11 signal quality?